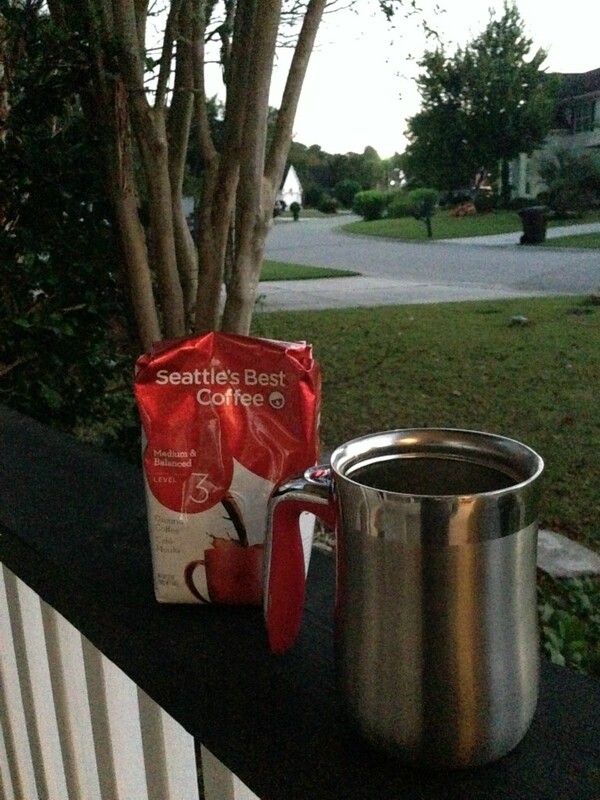 Seattle’s Best sent me a bag of coffee to share with you. Isn’t that nice? You know how I love my coffee! This is my view in the morning. It’s 6:52am and O’Bear & I are just stepping outside to wait for the bus. We can stand on our front porch and watch for it to come around that curve. It is not usually light out this time of year, but I snapped this one a few minutes later as the sun was peeking over the horizon. 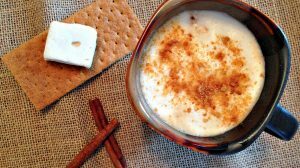 We chat about what the day is going to bring as I sip my hot coffee to try and wake my body up. As I’m making him breakfast and packing up his lunch, I am also brewing my first cup. How will I take it today? I never drink it black, but add a little natural flavored creamer or almond milk. I can’t forget my pinch of organic cane sugar. 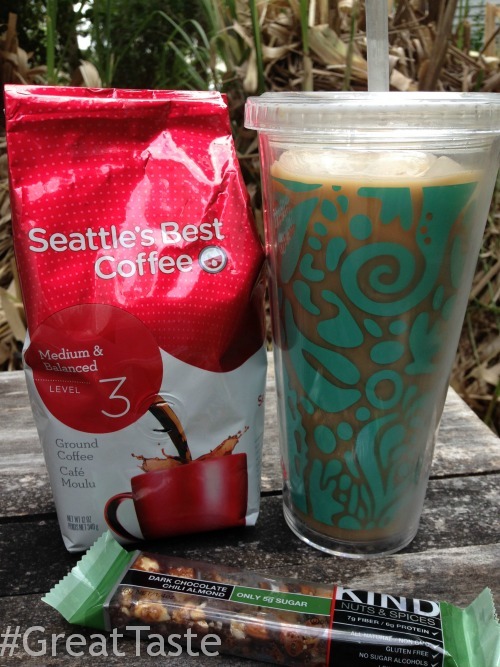 Seattle’s Best has a variety of blends to find the perfect flavor for you. I think the medium blend is just right and tastes great. 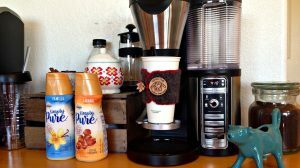 Too bold takes away my flavored creamers and too light doesn’t give me the coffee taste I crave. 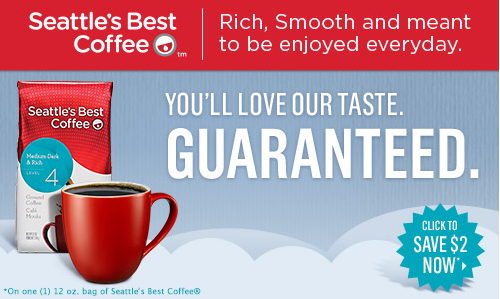 Did you know that if you don’t love the taste of Seattle’s Best they have a guarantee for your money back? I go for a run after O’Bear steps up onto the bus and is on his way. I’m up to thirty minutes at a time now! 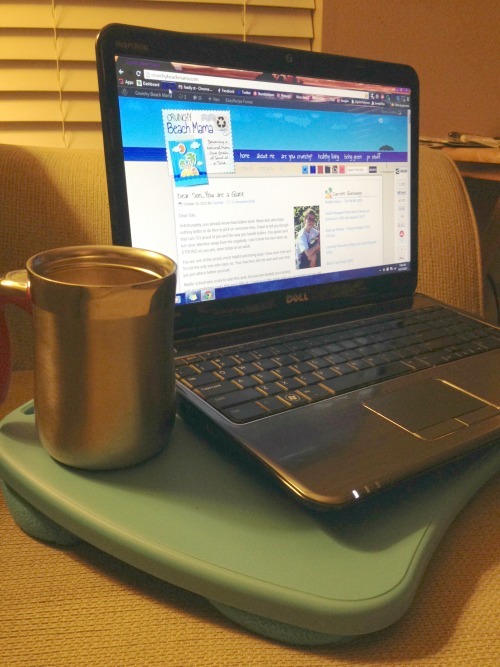 I come home to Hubby getting C’Man ready and when they leave I may have a peaceful moment before P’Diddy wakes to start up my computer and continue with my coffee cup. A little colder now it is, but that is fine. I’ll heat it up or take those last drops at room temperature. In the afternoon I may have an iced coffee with my snack. It’s that 4pm I need a lift drink! Right now you too can share how good your coffee tastes using the #GreatTaste hashtag & tagging @SeattlesBestCoffee on your Instagram or @SeattlesBest on Twitter for a chance to win a vintage Seattle’s Best Coffee T-Shirt. Also, visit the Great Taste Website to join the #GreatTaste discussion and for an additional chance to win! Join the #GreatTaste Twitter party on October 22nd from 7-8pm EST – there will be 15 Winners for Seattle’s Best Coffee and $20 Walmart GCs!! Find out with this Store Locator where you can purchase Seattle’s Best & Grab a $2 off Coupon and save! Do your mornings first start out with a cup of great tasting coffee? Now, that sounds like a full schedule in the morning. Coffee always help. I don't have a favorite coffee but you definitely make me think that I should look into trying this one. I think that I would probably go with the iced coffee. I'm always getting an iced coffee from Dunkin Donuts, but I need to start making my own.